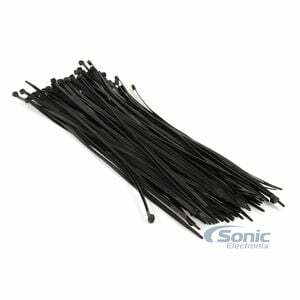 Looking for a true 1/0 gauge amp wiring kit? 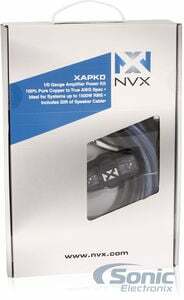 NVX is proud to introduce the XAPK0 1/0 Gauge Single Amplifier Wiring Installation Kit. This package includes everything you'll need, including speaker wire, to get your amp powered-up properly and running at it's peak efficiency. NVX engineers chose to utilize top-quality materials throughout the kit, including true 100% oxygen-free, silver-tinned copper amp power, ground and speaker wire. This full copper wire helps prevent signal and power loss through the entire audio system, allowing your amplifier and components to operate to their fullest. 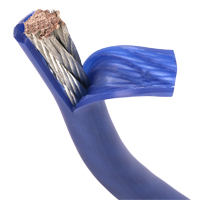 The ultra-durable, EnvyFlex outer jacket makes installation and routing of the cable a breeze. The superior quality and materials of NVX also shows in the included accessories. 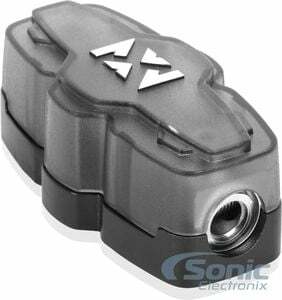 Working in concert with the wire is a NVX XMANL04 solid brass and satin chrome plated ANL/Mini-ANL Fuse holder with a 150 amp ANL fuse, protecting you from costly power surges or grounding issues. 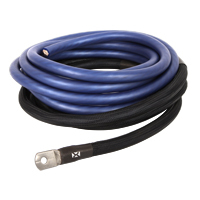 The power wire comes wrapped in 6 feet of durable nylon braided tubing to protect it from heat and chafing in the engine bay. 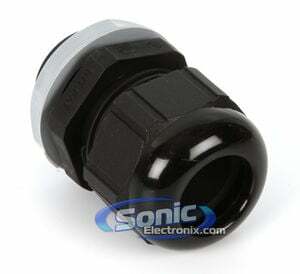 Even simple installation accessories such as the spade connectors are nickel plated for superior long-term durability and signal transfer. If you're in need of car audio accessories that are built to perform and last, look no further than NVX. NVX stranded wire is extremely tolerant of the rough conditions in vehicles and compensates for vibration, heat expansion and flexibility. 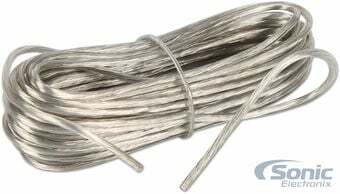 This flexible but well shielded wire is crucial for getting through all of the nooks and passage ways within the cramped confines of vehicle interiors. 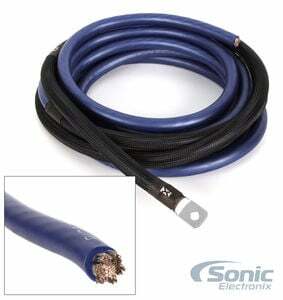 The thickness of the actual wire, not the insulation, is critical when it comes to transferring the extraordinary current of your audio system. 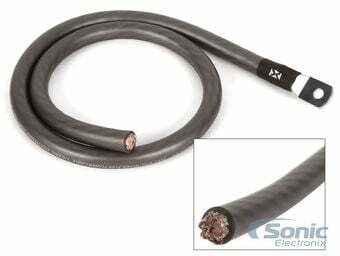 With hundreds of strands of wire in one cable you get an increased current flow and a higher amperage carrying capacity with a reduced cable size. EnvyFlex insulation hinders electric current from exiting the wire prematurely which prevents electrocution and damage to components within the vehicle. 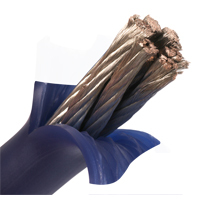 Additionally, the insulation maintains the flexibility of the wire while preventing corrosion and damage in the hostile vehicle environment. In an attempt to beef up their wires, some manufactures use all aluminum or mix copper and aluminum to give the appearance of a quality cable. 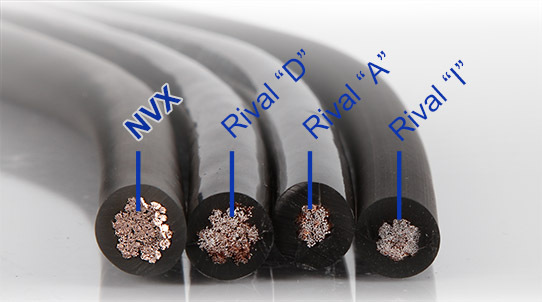 NVX wire is 100% oxygen free, silver tinned copper which reduces corrosion, increases current transfer, and won’t discolor the insulation of the wire. NVX wire is hefty and strong, but not overly shielded to increase its weight. A quality cable just feels right with a perfect size to weight ratio that leaves it easy to handle but rugged enough to perform its duties. Amplifier installation kit come in two different types: Power or Complete. Power Amp kits are designed to only provide power to the amplifier. Complete kits will provide power and signal to the amplifier. Many of the complete kits will also include speaker wire to connect the amplifier to the subwoofer. This is the number of amplifiers that the amplifier kit can support. If you are are going to be powering more than one amplifier, make sure that the installation kit will support them. The power/ground gauge numbers represents the main wire size of the amplifier kit. Gauge (wire) - The diameter of a wire. The higher the number, the thinner the wire. Example: 4 gauge wire has more strands than 10 gauge wire. AWG (American Wire Gauge) - A standard of the dimensional characteristics of wire used to conduct electrical current or signals. AWG is identical to the Brown and Sharpe (B & S) wire gauge. This is the length of the power wire in feet. The length of the ground wire in feet. If speaker wire is included, the value will be "Yes" and if no wire is included, it will read "No". 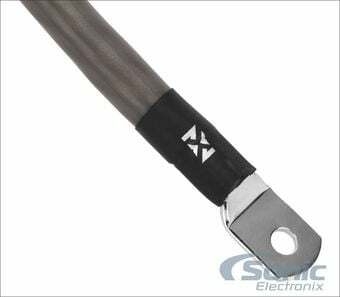 This is the length of speaker wire that is included with the item. This is the length of the remote wire that is included with the item. 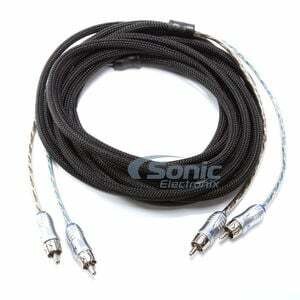 Interconnect cables are required for amplifiers which are installed to the "RCA preamp low-level outputs" of a car stereo receiver. If your amplifier has high-level / speaker level inputs, then you do not need to purchase interconnects; however, interconnects offer a much higher quality sound when compared to speaker level inputs. 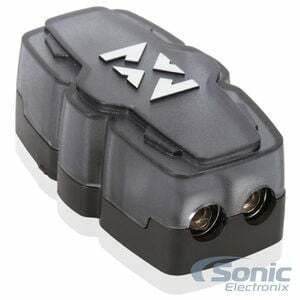 This is the type of fuse holder that is included in the item. This is the size of the fuse that is compatible with the fuse holder. If the fuse needs to be replaced, be sure to replace it with the same size. This means that the kit includes a distribution block in the package. 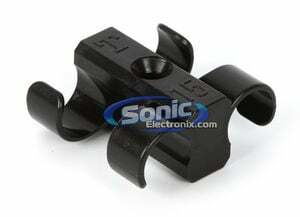 This will assist in the installation of the amplifier kit or any situation where a distribution block is required. Since 1857, The AWG (American Wire Gauge) system has been the standard for measuring the diameter of wire. AWG standard is the measure of bare wire to find true gauge. Companies that do not follow AWG Standards include the thickness of the wire jacket which means the actual wire is not "True to Gauge". 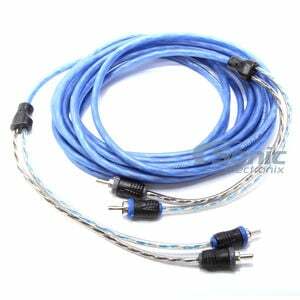 For the best performance from your amplifier wiring kit, make sure that the cable complies to the AWG standard. The material that the wire is made of. Copper & aluminum are the most commonly used materials. OFC - Oxygen Free Copper is the ideal choice for wire material. 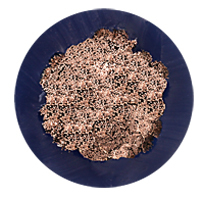 Copper is a superior electrical conductor, & does not expand or contract with heat. CCA - Copper-Clad Aluminum is a suitable choice for lower powered or budget applications. The power transfer is not on par with OFC, but this material offers significant savings. This wire kit is of the utmost quality. The wire is actually thicker than 0 gauge! I probably only needed 4 gauge wire for my setup, but this ensures maximum safety and power delivery without putting a strain on any of my components. Excellent item. This kit has some of the best wire I have used. 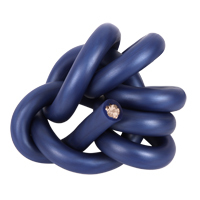 Its true 0 gauge and really flexible. The fuse block is really well made and easy to swap fuse. Over all I would recommends to other people. The cable is thick and heavy! Decent product! What I actually bought was a "package" it came with a RCA cable as well. I was expecting a 300A fuse but got a 150A. First thought upon opening this product was the quality the full spec wire is the only way to go really nice fuse block and the ends are already crimped on one end makes it easier to use i have used other products in the past that cost way more money and i dont think they are as nice as nvx its the only way i will go for now on !!!!!!!!! Top of the line amplifier wiring kit. No cutting corners on materials here. Heavy gauge, quality wire. I have it installed with the NVX JAD 1200.1 amplifier and it is the perfect set-up. The only complaint I have is that it doesn't come with RCAs. High quality, true 0 gauge wiring that keeps everything running efficiently and cool! The wire in this kit is incredable. It is copper wire with a silver coating around it. It is the most flexible wire of this size that I have ever seen! I even love the 12 gauge wire that comes for the speakers. This is the best kit I have ever purchased hands down. The cons though are it doesnt come with RCA cables, This did not matter to me as I did not need any anyway. Ive used numerous high end kits in the past and this kit is just as good as any of them, if not better, at a fraction of the cost. The amount of wire is great especially considering what some companies call 0 gauge, this is true 0 gauge. Add to that the fact that its silver tinned and that makes it an incredible product. Its flexibility is also note worthy, especially as most other brands of 0 gauge is fairly stiff. This is a great product. Great set! Had everything I need and even some extras! 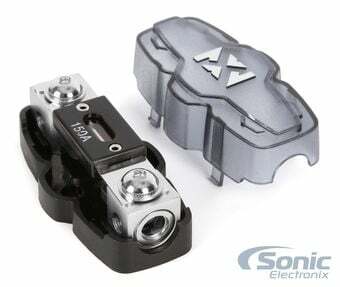 This wiring kit is awesome I put it in a nissan sentra and it is super flexible to make tight bends. Really all around great quality I liked that it came with ring terminals pre crimped onto the kit. This is my first nvx wiring kit and I won't use any other brand now. Worked really wonderful as describe. The quality was excellent. The time of delivery was great. I was installing a sub in a global ford ranger and this made life easy and had loads of extra cable and they were all high quality as described. Best kit for the money. This is by far the best quality wire kit made. It has everything necessary to do a great install and you will most likely even have extra stuff left over. I have recommended this to multiple friends and they all agree, NVX makes great products. 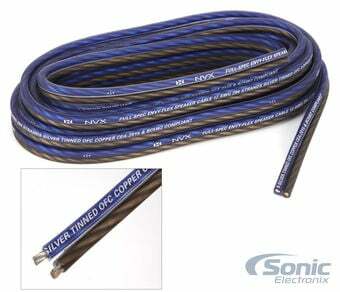 True Spec 1/0 AWG SILVER TINNED OXYGEN FREE COPPER. Will be buying again. Good product exactly what i needed for my install no problems so far. This is a quality kit. The wires are nice and made my install look good. The crimped ends are solid and the protection shielding and heat shrink are nice too. I would recommend this product. Removed #4 AWG that I thought was ok and replace with this 1/0 kit. I had some 1/0 left over from another install into another friends car and the kcmil was way larger on this product than the other. HIS insulation was thicker making the o.d. the same. Wire terminations were solid too! If you're looking for a wiring kit and haven't bought an NVX kit yet then you should. I'm currently using their 8, 4, and 0 gauge wire in my system and there is one word that can sum it up: Quality. I honestly don't think you can get better wire than this, the 0 gauge in this kit is almost as flexible as their 8 gauge, it's crazy and makes for such an easy time installing it. This kit does only come with a 150 amp fuse and I personally think its a little small but that's not much of a complaint, a 250 or 300 amp can be had for like $5. I definitely recommend this kit, it's worth the extra money over those "cheaper" kits. It doesn't even make sense how much of a difference these wires have made in my system! Draws way more power to my amp, and my subs hit significantly louder than before! Only using NVX wires from now on. This wiring kit is an excellent value. Very high quality. Very flexible for 0 gauge and the protective loom under hood is a perfect finishing touch. Bought this to upgrade from my fosgate 4 awg wire because I bought a new nvx jad1200.1 amp and a 15" nvx vcw sub so of course had to keep it the same!!! This wire is just as good as Rockford fosgate, Kicker, jl audio or any other big brand but at a fraction of the price!!! Is silver tinned ofc and every bit of what 0 awg should be you won't have any regrets when u hold this wire it's nice amd heavy and super flexible, and the kit itself comes with everything u need to hook up an amp if your going over 1000rms (except rca wires) everything in the kit is top notch and will last many years it doesn't include your rca cables for your signal but nvx sells them too and there just as good as the rest!!! The terminals are awesome to but I did have to make the hole bigger for the bolts I used but that wasn't a big deal. Bottom line is NVX doesn't skimp on the copper or any other important part in the car audio game there products will compete with any top of the line brand and if u don't believe me try it for yourself I promise you won't be disappointed!!! And if for some reason u don't like it look me up I'll buy it from u lol jk but really u will not be unhappy with this or any other product from NVX!!!! Not much more u can say about wire lol its ofc and it's true 0 gauge wire with a super flexible jacket u can tie knots in but rigid and will hold up I wanna say the strand count is right above 4700 or 4900 somewhere in there for the price u pay its impressive that's for sure!!! Works great, no complaints at all. Very high quality product for not too much dough. 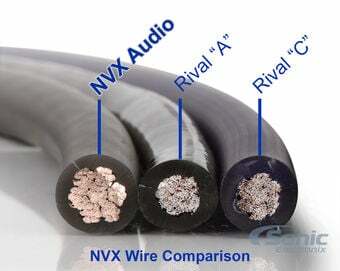 I always go with NVX products, specially their wires, speakers wire, terminals, amps. 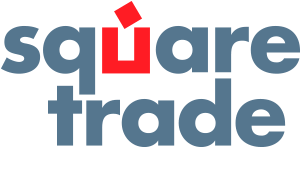 They sell very good quality equipment for a good price. 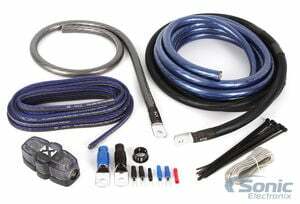 I have this kit for a 1200rms set up, no problems. I had some cheaper companies 4 gauge power wire. It was powering my 1600 watt rms system. I replaced their 4 gauge (which was actually 6 gauge) with 12' of 1/0 wire. I'm getting 13.75v at the amplifiers after swapping this out and doing the big 3 I was getting 13.3 using cheap 4 gauge. I was hesitant to purchase this kit at first but glad that I did. The quality is top notch and I say this is the best bang for your buck. 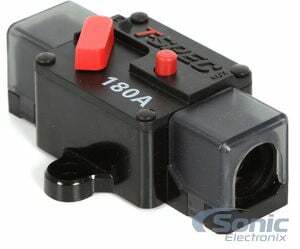 This circuit breaker accepts both 1/0 & 4 AWG cable and can handle up to 180 amps! Remember to match your amplifier's fuse rating with the circuit breaker to prevent unwanted damage! 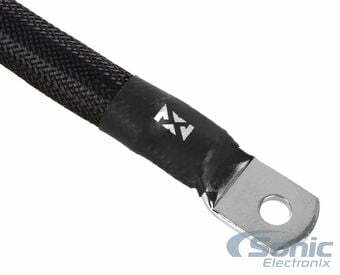 This Stinger heavy duty grommet is the perfect and safe solution to running wires through the firewall. View all available accessories for the NVX XAPK0.